As a business owner, the only person who is ultimately liable for your accounts is you. Which is why you need a trusted and credible accountant. Established in Paisley in 1974 as Alistair Brown Chartered Accountants and evolving through the digital age into Total Accounting in 2004. Ranked at the top by QuickBooks and a recognised Platinum Partner, we are considered as one of the most experienced, high performing and tech driven accountancy firms in Scotland. Our ethos and how we got here. When managing the Chartered Accountancy firm in Paisley, we recognised that while clients required statutory compliance work, they didn’t fully benefit from the value in it. What clients really wanted was expert support, advice and guidance that could be called upon when needed. That’s how Total Accounting was established – and the name says it all. Be it relieving the burden of bookkeeping to requiring an expert to sit on your finance team, we are here for you to offload all of your accounting requirements onto. Leaving you to do what you do best, make money. We believe in efficiency and in providing you with the best package. Our devotion to service and value for money will benefit you and your business greatly. Yes, you could find a cheaper accountant. Would you receive the outstanding value for money and continued and credible support that we provide? Probably not. So what makes Total Accounting good at what we do? At Total Accounting, we believe in the personal touch. With a 20:1 client to staff ratio, we ensure every single query is dealt with instantly. No receptionist, no voicemail, no waiting. Just a direct dial telephone number that takes you straight through to your dedicated expert. Unlike some other larger outfits, we truly care about our clients and we want to talk to them. We firmly believe that accounting should not be a faceless experience. We spend 1-2-1 time with clients and believe in real-life consistent correspondence. It is our job to foresee problems, so you don’t have to. Expert personal advice centralised on a multi-award winning digital platform so you can quickly understand your finance whilst receiving outstanding service. We build the accounting infrastructure you need to suit the requirements of your growing business. The integral data centre connecting and knitting everything together is QuickBooks Online – the world’s Number One Online Accounting Software Package. From there we can add the latest apps to feed and extract all of your business data, keeping you compliant and connected to your growing business. No more manually processing bank accounts or chasing long outstanding debts. We put a competent real time solution in place that will save you time and make you more efficient. Reluctantly joining his father’s accountancy firm in 1996 at the age of 23, Euan did not plan on accountancy becoming his profession. However unbeknown to him, it was to end up being his calling. After training with his father over a number of years, he soon began to realise how much he enjoyed the business side of accountancy & client management. Over time, Euan started to focus on the client experience aspect within the firm. Spending time with award winning firms in England and key influences within the industry to develop a clear vision for the practice. Focusing on the client journey rather than just the numbers. His immense enthusiasm for technology means he is always at the forefront of any new developments and it’s this drive that has allowed Total Accounting to continue to grow from strength to strength and become one of the top tech driven firms in Scotland. At the tender age of only 18, Terri-Ann joined Total Accounting as an office assistant in 2005. Working closely alongside Euan in the early years, Euan carefully trained her in the ways of the practice and instilled in her the strict standards that we still hold dear today. Quickly proving herself within the office and becoming Payroll Manager after only two years with the firm, Terri-Ann went on to work extensively in Accounts, Business Tax and Personal Tax. Her vast experience in cloud accounting means she enjoys testing all new systems and discussing all the different ways that these can be integrated into the business. Terri-Ann manages the day to day running of the office and is integral in ensuring our high service standard is always maintained. Terri-Ann became a director of Total Accounting in 2017. After finishing High School, Shelby trained with Customised Training based in Paisley, and it was through this programme that she was offered a position with Total Accounting as an office assistant in 2008. She began her training in the payroll department, going on to become our Payroll Advisor for 3 years. Carrying on her progression within the company, Shelby continued her training in Accounts and Taxation. Shelby is now one of our most experienced Account Managers and looks after a vast number of clients, all of whom she maintains great relationships with. Shelby works closely with both our Directors and continues to learn and grow every day as our number one Accounts Manager. Lauren began working with Total Accounting after completing her HND in business studies at North Glasgow College in 2015. After a short stint working in retail during her studies, Lauren decided she would rather work within an office environment and that the financial sector was better suited to her strengths. Lauren has vast experience in Accounts, Business Taxation and Account Management but enjoys working within Personal Taxation the most. Kitty joined the team in August 2018 after graduating with a BAcc degree in Accounting and Finance from the University of Glasgow. Having always taken a vested interest in accounting, Kitty knew this would be the career path she wanted to pursue. Since she started at Total Accounting, Kitty has been trained to the highest standard and applies her knowledge and understanding to our vast range of executive clients. 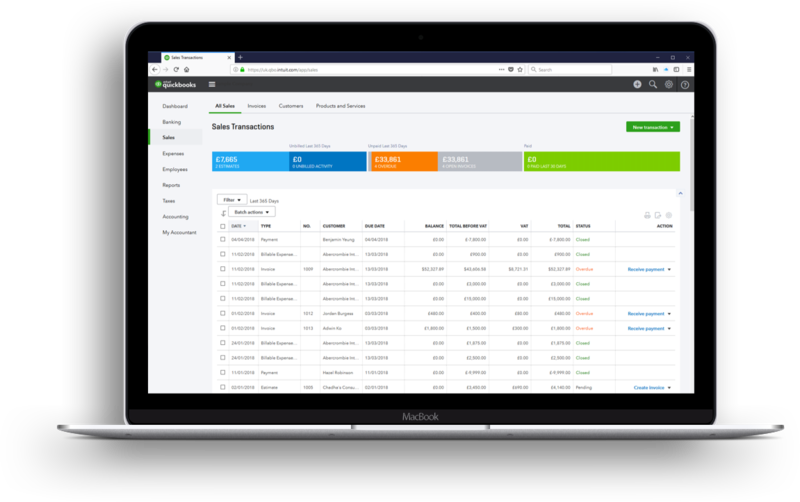 Kitty boasts vast knowledge of Quickbooks and became a qualified QuickBooks ProAdvisor within 3 months of starting with the business. After completing High School, Lauryn received exceptional grades in her exams and quickly joined the team at Total Accounting. 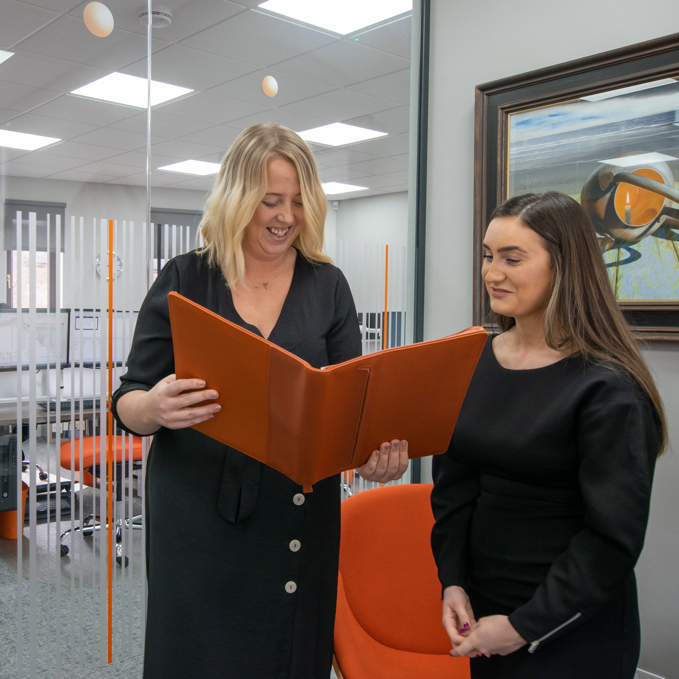 Currently still in training, Lauryn has exhibited a great work ethic and will continue to grow as we train her daily on all aspects of accountancy. Lauryn is currently studying and has completed her cloud accounting training. Her future at Total Accounting is currently looking very bright. Ariana joined the team in July 2018 after graduating with a BAcc degree in Accounting and Finance from the University of Stirling. After a year of travelling, Ariana felt she was ready to put her degree to good use and that’s when she joined the world of accountancy. Ariana continues to grow her skill set on a day-to-day basis and is learning new things constantly. She enjoys building relationships with clients and is currently going through the process of becoming one of our cloud accounting experts. Not a fan of surprises? Every detail of our relationship is agreed in advance and you simply choose the products and services you want, all with clear fixed costs and a timetable. With Total Accounting you get a dependable, established & focused accountancy firm. We really are here to help. We offer accounts within a month and insist on keeping our client base small, so we have the time for you and most importantly, to always be accessible. We are devoted business advisors meaning you can trust us to not only answer your questions, but also help you understand your accounts at all times. It’s not then just about getting your accounts in order, it’s about providing you with the support and guidance to help you make more money.